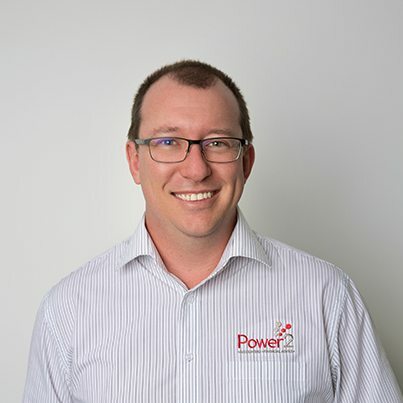 Lawrie is a Mackay local who joined the Power2 team in 2012. Lawrie has worked as an Accountant and Business Adviser in the Mackay region since 2002 and as such brings with him a wealth of knowledge concerning local business and the Mackay economy. As well as having a bachelor’s degree, Lawrie is also a member of the Certified Practicing Accountants of Australia. Lawrie leads the Power2 Business Services team, providing sound business advice and overseeing the management of our business clients financial requirements, including the preparation of financial statements, income tax returns and business activity statements. Lawrie is a keen golfer who can be found on the Mackay Golf course (often in the trees) trying to improve on his current handicap.